Abby the Librarian: AudioSynced is comin' up..! Hey, don't forget that the May AudioSynced Roundup will be right here at Abby (the) Librarian on June 1! I've been collecting some links in my reader, but if you want to make sure your May audiobook post is included, leave a link to it in the comments or email me at abbylibrarian@gmail.com. 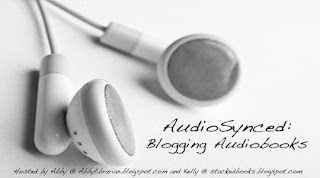 Then don't forget to tune in on June 1 to see what bloggers have to say about audiobooks this month! Can't wait to see what everyone else "read!"